Situated in Regent’s Park since Queen Vic was about, these zoological gardens have been entertaining visitors of all ages. 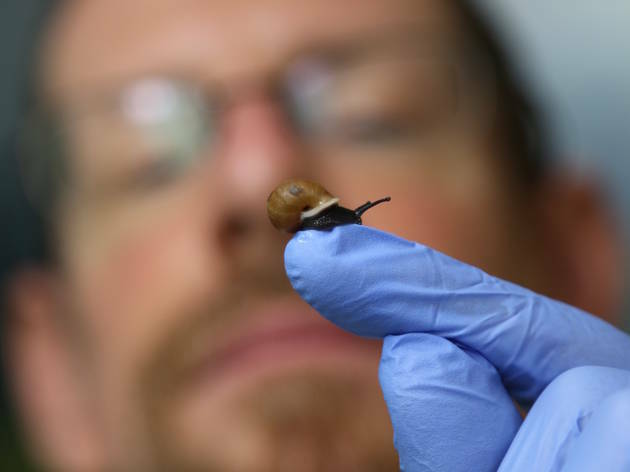 However, it’s only in the past couple of decades that the London Zoological Society has overhauled the place into something truly spectacular. 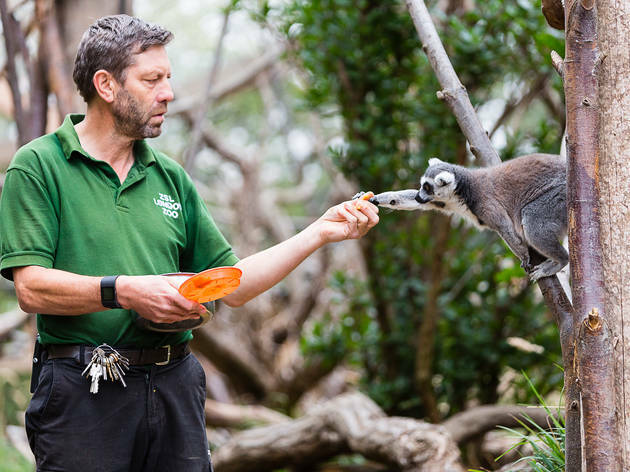 As well as ensuring animal welfare and supporting conservation worldwide, the 36-acre park has also been rebuilt to make an incredible experience out of the animal encounters. The staff here are always thinking up innovative ways to show off the creatures’ natural habitats and routines. 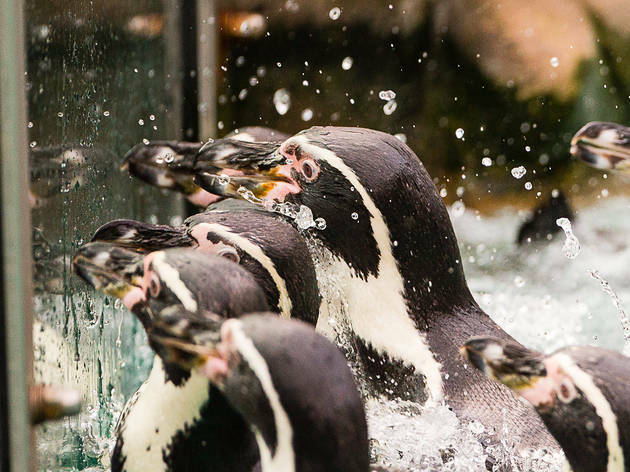 Take the South American coastline, which has been recreated especially for the lively penguins, who you can watch waddling about or diving from the surrounding benches or through the windows in the side of the tanks. There’s also an African-esque kingdom for the gorillas, and a mini settlement called Gir Lion Lodge, where you can stay the night (seriously) near the Asiatic lions. A night in one of these sweet little huts will set you back £438 for two adults, which includes a two-course dinner, a full English in the morning, free parking at the Zoo (something that’s unheard of in the Camden borough! ), an after-hours tour and a complimentary drink on arrival . 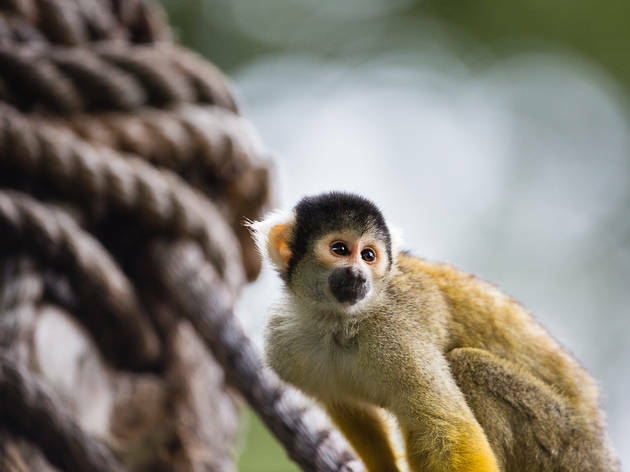 Elsewhere you’ll find a huge, living indoor rainforest inhabited by brave sloths, armadillos, monkeys and more, who have no qualms about getting up close and personal with you. 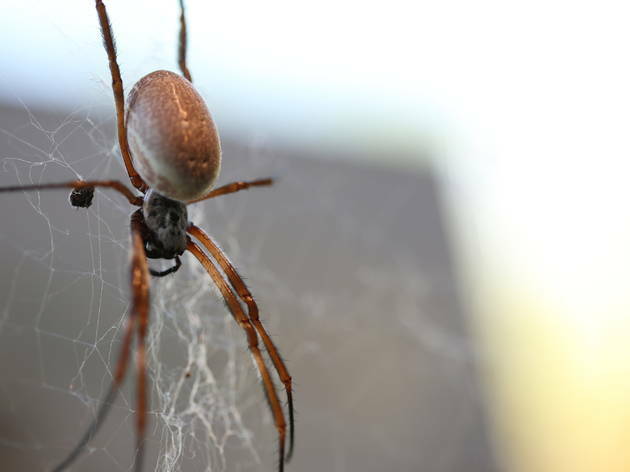 Don’t worry, the keepers are always on hand to put a stop to any critters with too much confidence. 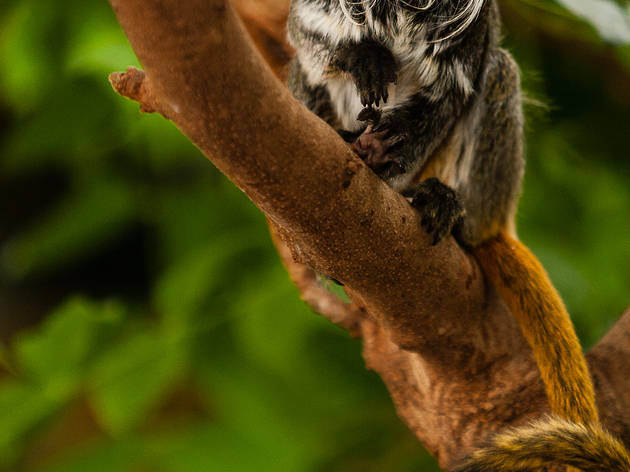 The ring-tailed lemurs are also a cocky bunch, running along ropes right in front of your eyes. The Tiger Territory, which opened a few years ago to house two critically endangered Sumatran tigers, must have done a great job of making them feel at home because Jae Jae and Melati have had three cubs since they’ve been here. This is as wild as wildlife gets without putting you at risk of being their next meal. Daily events include talks and feeding times, but there are also one-off events throughout the year, including ‘Sunset Safari’ openings on summer evenings. For 2017: Apr 1-Sep 3 10am-6pm; Sep 4-Oct 20 10am-5.30pm; Oct 21-29 10am-5pm; Oct 30-Feb 19 10am-4pm. Last entry one hour before closing. Online from £24.30, £21.90 concs, £18 children, under-threes free. If you leave early enough you should definitely consider leaving via the boat ride which leaves from the north side of the zoo, it can be very busy but well worth it! 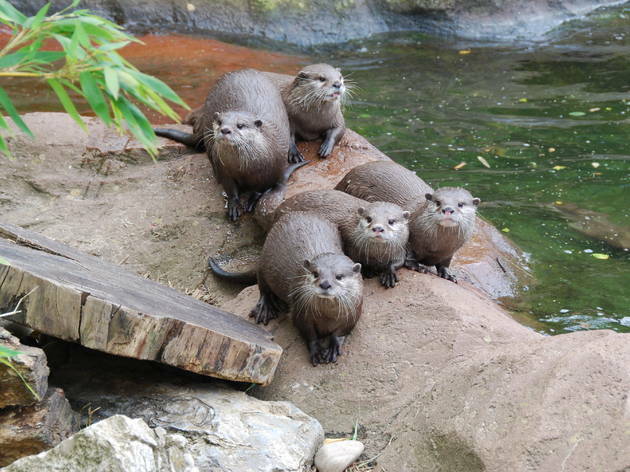 A lovely day out for the whole family. I went with my boyfriend for my birthday and we had an amazing time. At £27 each, it was a tad pricey, but it's not so bad considering there's so much to see and you'll be in there for hours- give yourself at least 5 if you want to see everything. Highlights include the 'Into Africa' section (where the giraffes seemed more than happy to pose for pictures!) the walk-through Lemur enclosure and the penguin beach. 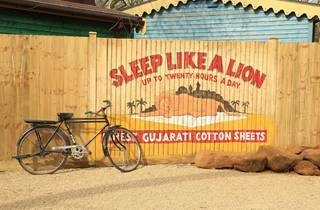 Disappointingly, there were no Lion's as a new exhibit is being built for 2016 and if you're unlucky enough to catch the Tigers after they've had their lunch, they'll probably be asleep! If the weather is good, this is the perfect place to while away a sunny day- but be sure to wear comfy shoes! I'm not entirely sure how I feel about zoos - especially this one as I don't feel the large animals have enough space to move. Am not convinced the tigers could even get to full pace in their enclosure which saddens me (or certainly not for more than a couple of paces). 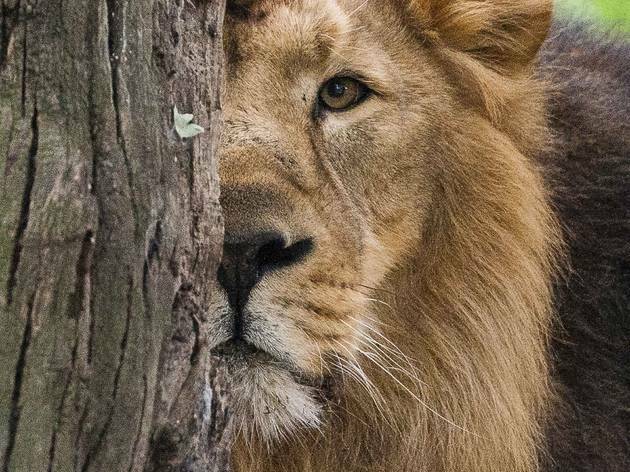 Also, no lions there at present - their enclosure is being rebuilt to open in 2016. Saw some animals pacing but the place is well maintained and would take a full day if you take your time and have a leisurely lunch. Feels relatively small but takes more time than you think. Fantastic way to spend a day! I was originally a little taken aback at the ticket price, but it turns out it actually felt worth it. A full day can easily be spent here wandering around the animals. The number of interactive/walk through exhibits is great and the new baby sloth is super cute, though hard to spot! I absolutely love London Zoo!! The penguins are my favourite, I love their old listed enclosure but their new big pool where you can see them swim is great. There is so much to see and is great for adults and children. There are lots of timed shows and feedings all over the park which are fantastic, so plan your day well as some do clash with one another. The bird show is always great.... my nieces loved it. We also always take a picnic when we go - there is lots of grassy space to sit and relax and makes the day a lot cheaper than buying food and drinks in the restaurants which are generally overpriced and super busy. Me and my partner visit annually as we love animals. Recently we have started going to the zoo lates which are fantastic if you're an adult. The animals appear to be well looked after and the facilities are decent. Love the gift shop. A quality London attraction worth the high entry fee - although watch out for things like tesco club card points etc which can be used against the price of tickets. A great selection of animals in a lovely well laid out space. Very easy to get to as it's so central. Worth a visit, especially with the kids, but try and avoid weekends and school holidays if you can! London Zoo is expensive. However, it is expensive for very good reason. Combining world class research and top quality, large enclosures for the animals, it also does something that I never seen replicated at any other zoo: it mixes modernity and it's history but not at the expense of the animals that live there. Baring in mind that this is an inner city zoo, ZSL showcases a respect for it's animals whilst also showing off where the zoo has come from. For example, you can see the original penguin enclosure and of course both the aviary and reptile house, which still look as impressive to this day and function in the same way that they always have. 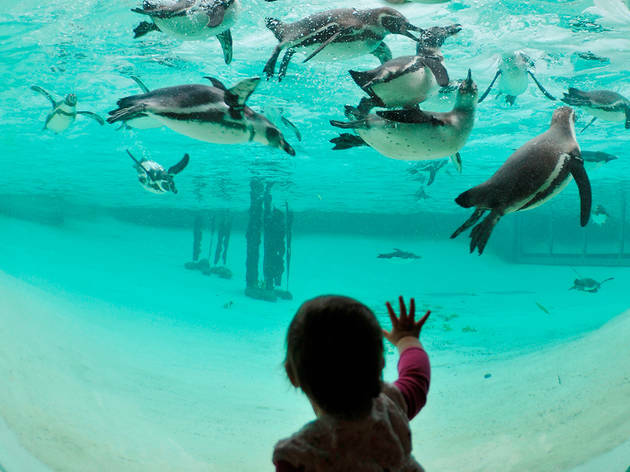 If you have children, take them to ZSL London Zoo (there are ways of getting around the ticket price such as the 2-4-1 deal offered by national rail) so that they can not only see these animals firsthand, but also gain an understanding of how to treat them properly and learn from them. Although my favourite zoo in the UK is Colchester Zoo, this one holds its own as a fantastic inner city zoo. It has a really good selection of animals spread across a pretty large area that is easy to navigate and explore. We have visited both during the day and for the Summer Evening late night openings - both visits were very enjoyable and we saw plenty of animal activity. The animals seems to have a fair amount of space to roam about it, which is good to see. Nothing worse than visiting a zoo where the animal enclosures are no bigger than a garden shed! Lots to see and do for kids of all ages (even the grown up ones!) We particularly love the monkey walkthrough and the ever entertaining penguins. A great day out. London Zoo is such a great day out! Living in London I feel like I never get to do the 'sites' so, once a year at least I try and have a bit of a touristy day. London Zoo was the perfect venue for this - lots to see and do as well as being in a great location. The Land of the Lions is very cool and like stepping into a different country with stalls and tuk tuks everywhere. Penguins will always be a stat attraction for me - who doesn't love their individual personalities and watching them dive in and out of the water! After seeing all there is to see, I would recommend a short hop and a jump to Primrose Hill for a great view across London, and maybe a picnic if you're in the mood. 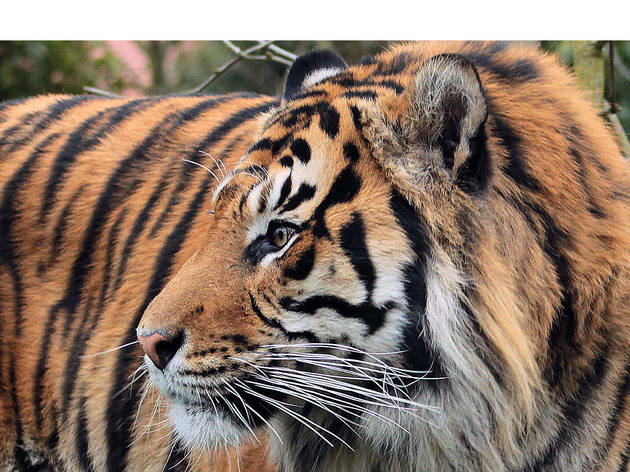 London Zoo has to be one of the most established zoos in the world. This is a whole world filled with so many beautiful animals and creatures to discover. 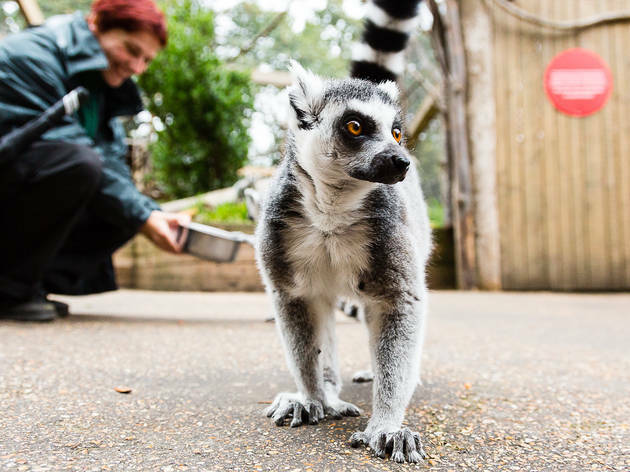 You'll definitely spend a whole day inside London Zoo. There is so much to see and to experience in person. Every child on Earth will love this place and they'll learn all that is to know about these fascinating animals. 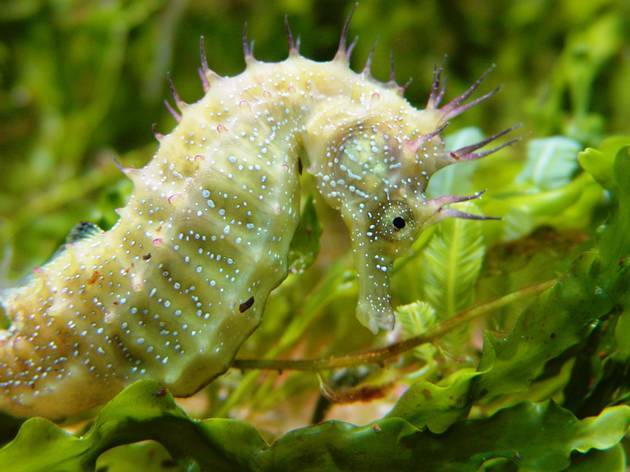 It's so worth going to see what lies around the world of London Zoo. There's a surprise and a treasure waiting to be found in every corner. It's so important to visit places and attractions like this. I believe if we all contribute a little to support zoos across the world, then I know that it can make a huge impact. 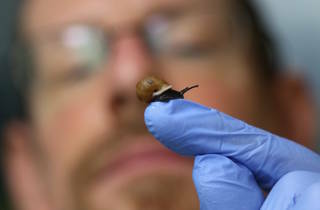 The protection and care of the Zoological Society of London is immensely admirable. 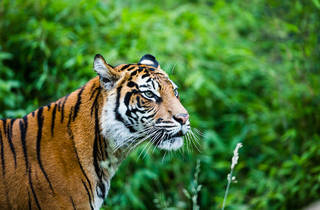 We can all help to protect these animals and their habitats. Where to start on such a magnificent adventure? I would probably start off at the Gorilla Kingdom or the Aquarium. I met Nemo and Dory on the way in the Aquarium. What a moment. The Outback is next where you'll be able to see kangaroos and emus. You have to go and see the tigers at the Tiger Territory. It was a beautiful moment to have captured such an extraordinary tiger just lying down by the glass walls. He looked so adorable. Every adult and every child went mad over the tigers. The Reptile House was a challenge for me. I must say that I'm super proud of myself to have overcome my fear of snakes. I managed to walk through and observe every single one. 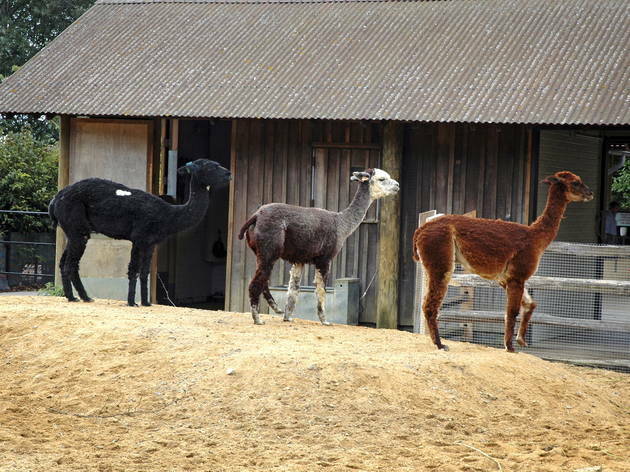 You have to go and see the llamas, the meerkats and the monkeys. I really enjoyed my time at the Bird Safari. Experiencing these exotic, vicious birds feasting on baby mice was interesting. They literally fly right above you. 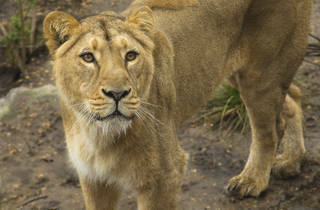 The Land of The Lions is also another popular part of the zoo. Another favourite is Penguin Beach. These charismatic penguins are so gorgeous. They do love to show off. On the day I managed to grab a chance to see the Animals in Action: Flying and Jumping show at the Amphitheatre. These skilled owls and birds really demonstrate their strength and power to survive in the wild. I would recommend going to the Amphitheatre. If your walking from Penguin Beach or the Aquarium, then walk along an under path to the other side of the zoo. You'll either find a magical reindeer, a real one or giraffes. 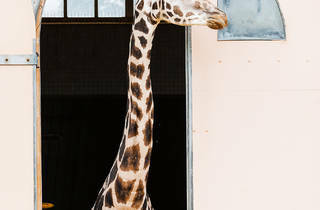 In this case, if you've seen giraffes, then you've arrived at the Into Africa section of the zoo. 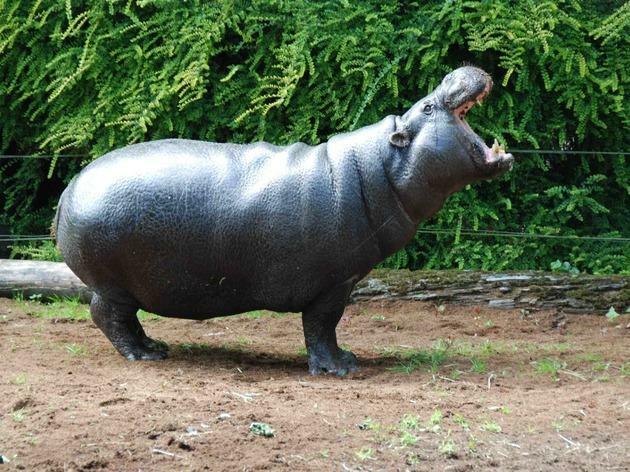 You'll see hyaenas, zebras and even hippopotamuses. There is truly so much to uncover around the zoo. My personal favourite part of the day was when I actually got see flamingos. They truly look so majestically pink in real life. This was a very small dream of mine, to see flamingos up close. 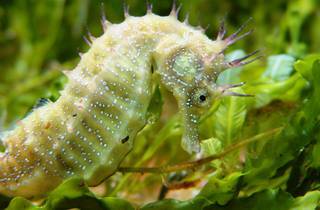 Don't forget that London Zoo will have live demonstrations and shows of these incredible animals along the day. It's all scheduled with different times, so I would definitely get a leaflet of the map. With five restaurants and five souvenir shops, you'll definitely find a dish to devour at top speed or a perfect gift to remember this unforgettable trip. You really do feel like your entering a different world and you get that true essence of nature and life. It's beautifully well looked after. Zoo lates during the Summer or a visit any time of the year is always a great way to spend some time. In my opinion it's always worth the money and is in a beautiful part of London! a firm family favourite as the kids were growing up. Be prepared for a long day of walking, excellent if the weather is good, there is so much to see. 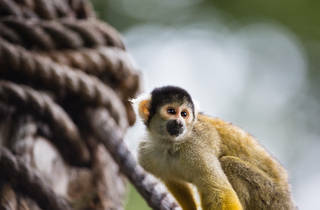 My favourites are the big cats, monkeys etc especially the squirrel monkey walk trhough. Though expensive, this is a great day out that can't really be replicated in London. Arrive early to make the most of your day and be sure to take snacks and other sustenance if you want to avoid spending a fortune on the food on sale at the zoo. There are some very obvious highlights here - the penguins are so much fun to observe. I believe you can actually pay a rather large sum to go into the enclosure at feeding time to help, which with unlimited funds I would LOVE to do one day! There are some other unusual animals in the zoo and so many opportunities to learn about different species which is pretty cool - I've finally realised learning things is quite fun! What is also fun is seeing the monkeys fling their poo at each other. I was lucky enough to witness a bit of poo flinging on my visit which will probably go down as a life highlight! Great day out for the kids and the older kind too. I loved the penguin beach, penguins are such cute characters. I spent most of the day here, walking around, seeing all the animals, missed out on the shows though. That can be planned for another trip. My personal favourite though was the tiger territory, love the big cats, looking out from the glass windows and seeing the immense beauties was my highlight! Tickets aren't cheap, best to go if you can find 2 for 1 offers. 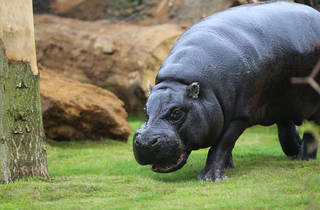 I want to check out Zoo Lates as well, i think that would be extra fun! Ideal for a day out, especially on a sunny, summer day! I would recommend getting a map on your way in, as it makes it easier to navigate your way around or make your way to specific animals, if there are some you really want to see. The people behind the London Zoo have done an amazing job at making everything look realistic and it was evident that they have put a great deal of work into even the smallest details. I was personally amazed when we walked through the Land of the Lions. Everything looked so realistic! It's an Indian-themed area calling for exploration - the setting includes a train station, a crumbling temple clearing, what looks like an abandoned high street and a guard hut. 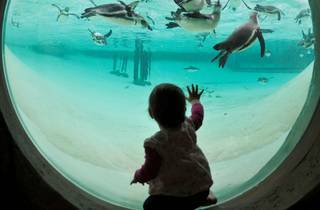 Another favourite of mine was the penguin enclosure; it was so magical to see the beautiful, lively penguins swim past you through the glass! 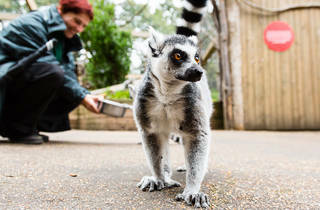 London zoo is the ideal day out for couples and family. With a lot of amazing offers, the tickets aren't too expensive either! 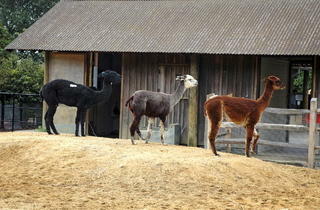 With a very wide selection of animals, from penguins, meerkats, giraffes, chimps, tigers, camels etc. The penguin closure was 100% my personal favourite, based on my birthday present adoption of Ricky the Rockhopper. Amazing fun, for the whole day! 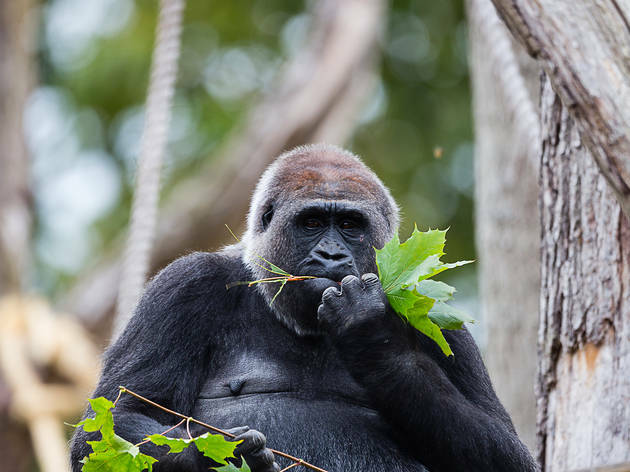 London Zoo is a great day out for the entire family. Clearly a lot of money had been spent on the location so although it'll be a great day out, it's not going to be a cheap day out. Highlights for me are the giraffes, they are amazingly graceful animals and the penguin enclosure is very impressive. My absolute fav has to be warthogs though, I know that's weird but they hold a specall place in my heart, don't ask! London zoo is located in Regents Park. 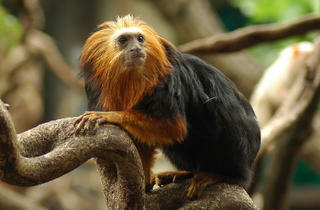 You can easily spend a whole day here navigating through all the different animal enclosures. 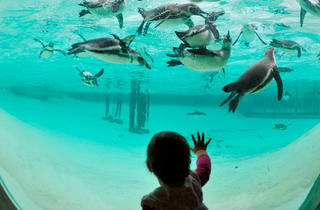 My favourites were the penguin enclosure where you get to see the penguins swim past you in the glass tanks. Unfortunately we missed the shows but would love to go back just to see these. The giraffes were also a highlight of mine as they were mesmerising to watch albeit their enclosure was slightly small compared to their size. There are various kiosks in the park selling snacks and drinks dotted around the park. Tickets are expensive at £30pp so I would recommend trying to find a 2 for 1 voucher which would make it better value for money. The size of the zoo is good. The zoo is very clean. The animals always look happy and seem like they are looked after very well and the enclosures looked very well maintained. I especially love the penguin enclosure in this zoo this is one of my favourite penguin enclosures out of all zoos. If you want to see the penguin show make sure you get to the area to get a seat at least 20 minutes beforehand otherwise you might not get anywhere near the enclosure to see the talk / feed. The other parts of the zoo I love is the new Lemur walk through enclosure and the tiger enclosure. The enclosures I am not keen on is the giraffe, zebra and walkthrough monkey enclosure. Reason I don't like the giraffe and zebra one is because I feel they need more space and more trees. 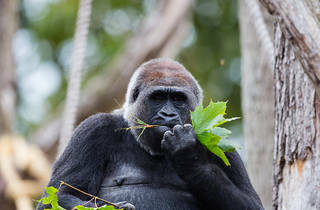 The reason I don't like the monkey enclosure is because I feel that when the zoo is particularly crowded it gets too crowded and the monkeys seem very distressed and the keepers cant seem to handle to number of people that are being naughty and trying to give the monkeys food they should not be having eg chocolate. I think they need some sort of control of how many people go into the enclosure at one time. London zoo also does animal experiences here but I would not do an experience there as you have to share with up to 5 other people wherefore if I done an experience in another zoo it would not involve me sharing with others so you will get a more unique one on one experience so what is the point in paying same price and having to share with other strangers. However saying all this I do love this zoo and is one of my best in England. We booked 2 x adult tickets, plus tickets for our young children, to attend Sunday 8th of January, however due to unforeseen circumstances, we cant go. Customer services at London Zoo were extremely unhelpful, constantly referring to their terms and conditions, and repeating that the tickets are non refundable. £60 down the pan!!!. And when we complained, it went from bad to worse. Legalistic and corporate!!! Terrible experience, and certainly not the ethical charity they make out. AVOID!!!! A 36-acre zoo, in the north side of Regent Park that will keep you busy a whole day and you will really have fun either going with friends or having kids with you. Grab a free map in the entrance (ticket price quite fair for the size of the zoo) and explore the different organized areas; there is a gorilla kingdom, a tiger territory,a lions land, a penguins beach, a bugs building, an aquirium, the butterflies land, into the africa section, meerkats, monkeys and so many more. 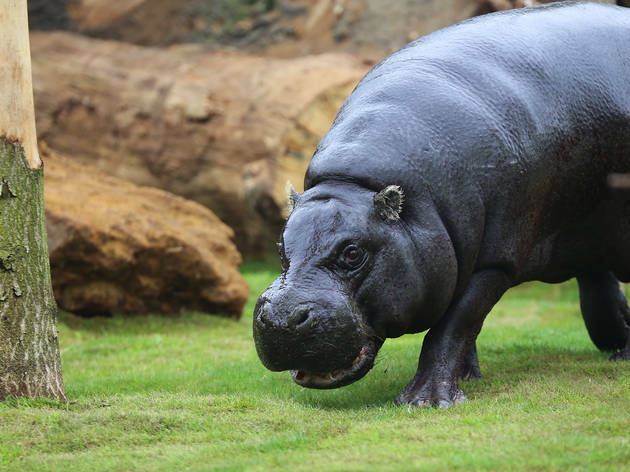 In many instances you can even walk and be in a breath distance from many of these animals. Really well organised zoo, with lots of animals and lots of daily events/activities to spend your day. This place is just so much fun! Love to visit the penguins and the rainforest! It's such a fantastic experience, you can get so close to the animals. There's always something different to see every time we visit. Good educational contents and the animals are adorable. Staff are always on hand to explain queries to customers. 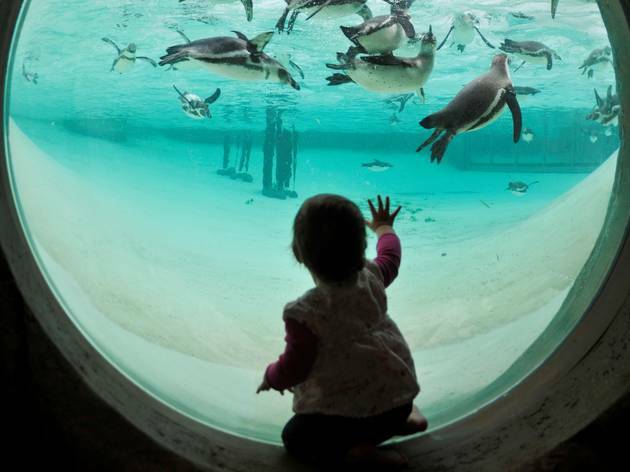 If you've got young kids, chances are they're gonna have a great day at London Zoo. Easily the best London Zoo that doesn't require a trip to Dunstable. Which is no bad thing in itself. I especially like the Penguins and the small monkeys. Venture to the back where the small monkey's live for a crazy clock with mechanical people doing all kinds of stuff! I haven't been to London Zoo since they kept the big cats in small cages so I was pleasantly surprised to find how much it had changed. 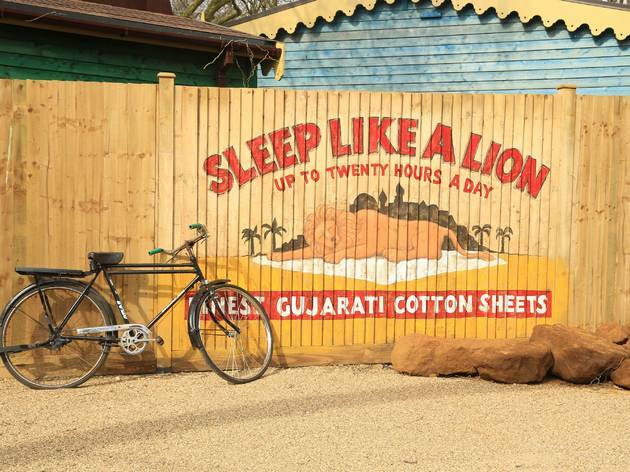 The Lions now have a wonderful enclosure called The Land of the Lions and it is themed as an indian village. The three walkways give you a good chance of seeing the pride but are not intrusive to the animals. Another revamped enclosure is Tiger Territory and we were lucky enough to see the new baby tiger cubs on our visit. In fact most of the exhibits seem to have been updated with maybe the exception of the Aquarium and the Insect House (but then how fussy are fish and insects about their environment?). The penguins now have a much nicer enclosure and its design allows visitors to see them both out and in the water. 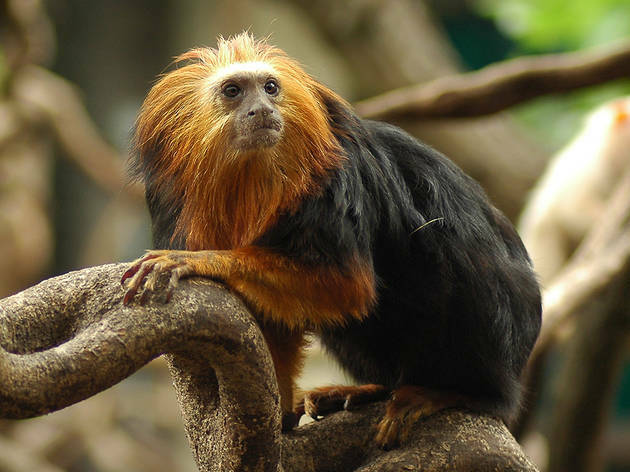 It is a little pricey to get into the Zoo but there is enough there to keep a family busy all day and there are many interactive things for children to do. Well worth a visit! This review is for both the zoo and the sunset safari combined! I have been to nicer zoos with bigger better enclosures and also more animals however for a zoo in the middle of London - this place is pretty good! Sunset safari offers visitors the time to wander round the zoo early evening which meant it was a lot quieter. They also had lots of food stalls and music playing which added to the atmosphere. 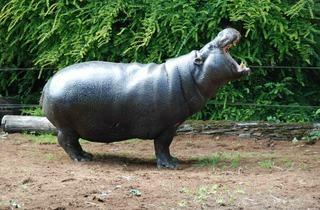 I have been to the zoo on a weekend before and sunset safari is a much nicer time to visit! Aided by sunny weather and a few ciders we had a fab time at the zoo. 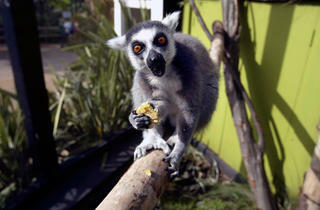 Highlights at the moment are the new lemur enclosure, the other monkey enclosure and the gorgeous tigers. Unfortunately the baby gorilla (5months old) has an early bed time so the gorilla kingdom was closed :( and the lions have been relocated for the summer! A cheap day out this aint, but it is a full day out and if you come prepared with food and drinks and navigate the exit through the gift shop that every parent loves then you don't have to take out a second mortgage to have a nice day out. A lot has changed since I last visted a few years ago. The attraction I was most looking forward too was the Gir Lion exhibit. The exhibit didn't disappoint but it cost a lot of money to depict an Indian village as accurately as possible so it should be impressive. It is a very well done attraction that even has a a train platform and Indian snack stall. 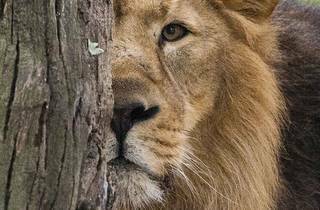 Shame the lions don't care and were asleep in the corner. 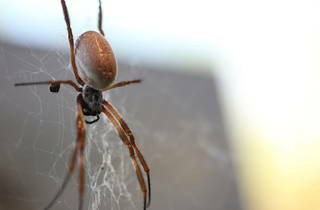 The bug house was a new experience too with an open rainforest section where you can get closer to some very scary cage-less spiders. There's even a mirror next to one so you can take a spider selfie and show how cool you are on Facebook/Instagram/snapchat/whatever. *Wear sensible shoes. The zoo is huge and it's a healthy walk to the closest tube stations too. It was my first time at London Zoo and whilst it's not cheap nor any better than some of the UK's other zoos, the entry cost contributes to some of the work that ZSL are doing across the planet. You could easily spend a whole day in the zoo, particularly if you have children I imagine! The zoo covers an impressive surface area, so be prepared for lots of walking. My personal highlights included the penguin beach, the monkeys and the farm area, however the new Land of the Lions was also really well designed. I'm both for and against this kinda thing. I mean, the conservation work that London Zoo does is applaudable, but seeing some of the enclosures the animals are kept in really tugs at the heart strings. I will say though that having visited a couple of weeks ago, it is a lot better than it was years ago when I went last, but I still think that some improvements can be made, especially with the ticket price being close to £30 per person. Obvs if you book online before hand you can save yourself some dollar. I actually drove to London Zoo this time instead of using public transport and it took me pretty much the same amount of time from South East London that it would getting the train, tube and walking from Camden. There is a car park you can use, but this is almost £15 to use for the day, and if you leave your car there over night you have to pay £70!! I opted to go for one of the hundreds of pay and display bays outside the zoo entrance. Costing £2.20 per hour, you can stay for a maximum of four hours here, nearly cutting the price you'd pay if you were using the zoo's own car park. This is a pleasant day out whether you have children or not, but with quite a lot of walking to do, be prepared for the little ones to get somewhat restless! Lastly, having been again to mainly see the bran new Land of the Lions, I have to praise London Zoo on the work they have done here. It really feels like you've been transported over to Sasan Gir in India! You embark on an amazing adventure through the towns, seeing the different market stalls selling bits and bobs as well as the local train station. There are also little lodges I believe you can hire out overnight so you'll be able to wake up to the sound of lion roars! A day out in the Zoo is such a good alternative to your usual weekend activities. Embrace your inner child, be giddy with excitement and spend some time on fresh air. Well, as fresh as it can be in London. Zoo is very spacious, so allow yourself at least few hours to enjoy it and walk around and it probably still won’t be long enough to see everything. There is so much to see! 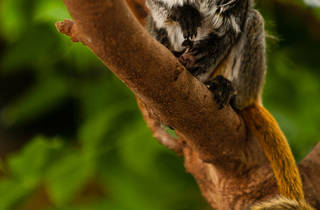 I was amazed when I realised how close you can get to animals, especially lemurs and little monkeys. 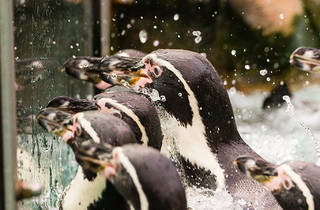 Zoo organizes a range of daily activities, so you can observe feeding of the tigers or go to Penguin Beach, where you watch penguins swimming under water and listen to presenter explaining penguins’ lives. 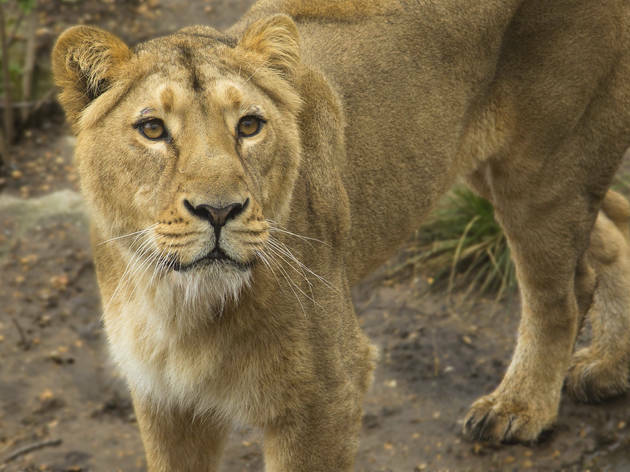 Land of Lions is an exciting new addition which is another reason to visit the Zoo. 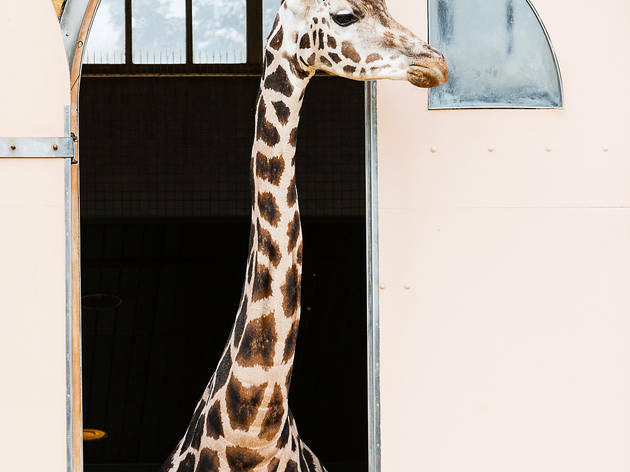 As an animal lover I am fully aware that animals in Zoos are kept in a small space, in unnatural environment….However, I feel that eventhough that is the case, being an animal in London Zoo isn’t too bad! Observing the staff, they have so much dedication and love for animals, and animals really looked well-kept and taken care off. It was my first time at London Zoo and I was pleasantly surprised by the size and quality. 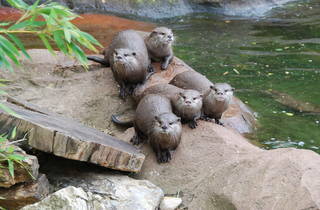 It's fair to say that you can spend a quality day in the zoo with kids and even without kids. There's plenty to see and explore. London Animal Prison is, unequivocally, the best place to pay almost £30 see wild animals in their unnatural habitat. Trapped in tiny enclosures a fraction of the size of the territory that they would normally roam, the menagerie of vibrant, extraordinary creatures lounge around waiting for food to be thrown at them by minimum wage workers, because there is literally nothing else to do! Waited on hand and foot, these magnificent specimens - which run the gamut of evolutionary possibility, from dung beetles to gorillas to giraffes (and a few other sorts too) - can be photographed interacting with one another in a way which is totally unrepresentative of how they might behave in the environment that they have adapted, over millions of years, to survive in. In-fighting, health problems, and depression are common, though trained veterinarians are on hand to alleviate symptoms well enough to meet animal welfare standards and keep the money coming in. 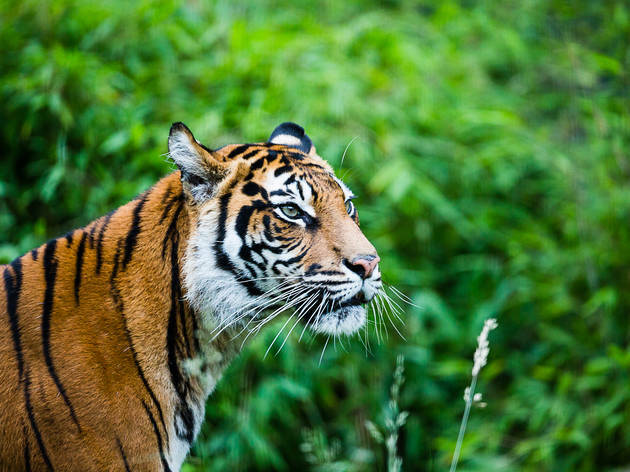 But these animals are given food daily so they don’t have to starve like in the jungle, although if it's given to a predator then it's usually already dead, which means there is no chance for it to practice its play and hunting skills. Furthermore, there are visitor information signs telling the public how endangered these animals are, and that the world is full of pollution now, so London Animal Prison's incarceration of wildlife is completely fine. Preferable, even! If the animals could speak, they'd have nothing but praise for the place and the wardens who run it. Although nobody has conducted an official survey, the vast majority of London Animal Prison's population would probably state their utmost gratitude for the millions of visitors they receive each year. Having so many admirers must be a wonderful thing. Usually, a total lack of keeper supervision means that your kids can rap on glass panels - a dominant feature of most animal inmate's cells - for hours on end while you document the event on a smart phone. But when the savage monkey/tiger/sloth strikes back against the bulletproof, three inch thick glass, you'll be glad it's there, and you'll be right to condemn the bestial behaviour of the savages that tried to lay a paw on your boy and made him cry. "They deserve to be locked up! ", you would be correct in saying. Watching the tigers drag themselves from their sleeping dens to gnaw on chunks of mangled flesh is a stimulating experience, and really gets the bloodlust going. Their majesty and prowess in walking slowly over to a hunk of meat is awesome to behold, even in their lethargic state, which has been brought on by enduring years of captivity and the same boring routine day after day, for as long as they have lived; they are in a true ‘winter of the mind’, and expert zookeepers ensure that the only release will be a slow death drawn out agonisingly through the use of stringent medical procedures and medication plans that are not in the least bit in keeping with the 'realistic', 'natural' conditions that a tiger should be in, but which London Animal Prison insists it is. It is basically nature, only safer! 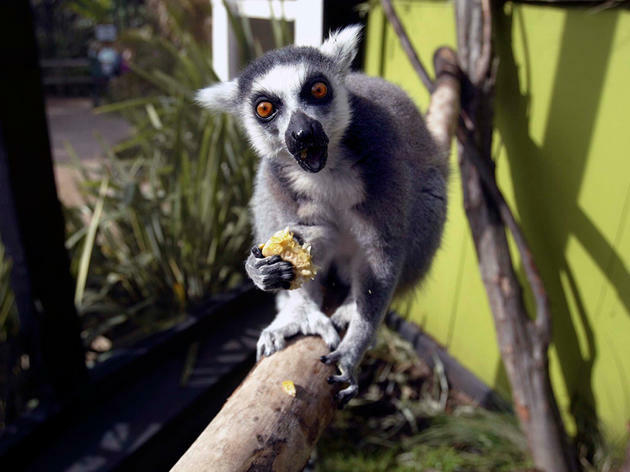 No doubt you and your family will be hungry after witnessing the beasts at feast...so why not head on to one of London Animal Prison's visitor-only canteens, where dead animals are served for incredibly low prices. You will find to your delight that the value of life is much, much less when the living creature isn't endangered and there are billions of them all about the place. Tuna fish, pigs, chickens, and cows are all on the menu - none of those are in London Animal Prison though, possibly because they'd be boring to watch. But because they are out of sight they are out of mind! And remember, the animals you eat were not meant to be in a zoo or cared for by vets - they were bred to be eaten, so stop worrying about it! Besides, they spend their miserable little lives in much larger facilities with all of their friends and don't have to share with any other species like the reptiles and monkeys and birds at London Animal Prison do. It's fine. It's all fine. There are zoos in every major city, but this one is my favourite. So many events for children and late nights for adults. Perfect place for a date and you get to explore and learn. Must visit! London Zoo is an iconic attraction in the capital. It's pretty cool when you think that at your desk in Soho, you're less than 3 miles from a Tiger. No one can deny, it's a great day out. I was even lucky enough to go to Zoo Lates when that ran – but can understand why that quickly went away, as having a party in the complex isn't really fair on the animals. They need their time out too! The place is pretty big, so expect a good 5 hour + walk to really get the most out of seeing the animals. 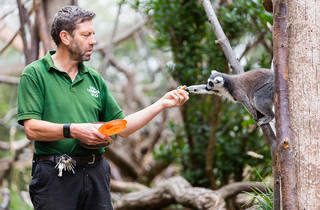 They are well looked after and ZSL staff are very informative and trained, which gives you a bit of comfort. Having said that, having a Zoo in the capital is nostalgic and pretty cool. And I'm very grateful. As long as some of my money goes to the welfare of the animals, I'm happy to spend the ticket price. One of my favourite places in all of London, feels like a real escape from the day-to-day. Enjoyable day out in London especially if the weather is good. Best day out in London right in the heart of Regents Park, outside the congestion charge area. sooo much to do. I love London Zoo, it's the best place to be in London! Lots of fun for all the animal lovers both old and young. I go there at least once a year and it never gets boring. Ticket prices seem expensive but you definitely get your moneys worth. Our day was full of interesting things to see and learn. We only left when the zoo was closing. Food and drink prices very expensive though, so take your own sandwiches! Worth getting a season ticket so you can pop in without thinking about it. Though rather expensive a wonderful place to spend an afternoon. Especially the aquarium, the reptile house and the new tiger territory are worth having a look at. London Zoo is a fun, cheerful place to spend your afternoon, specially if you bring children along! I went there with my little sister and we both had a blast!